Francis Ford Coppola is quoted as saying, "I have genius but no talent." Honestly, I think he has both. But with his December 1984 release The Cotton Club, he unfortunately loses a little of this talent by failing to format a somewhat cohesive storyline. 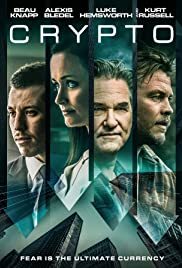 If you ignore that sort of minor flaw, you still get a splashy mob flick that is highly stylized, highly energized, and done with mounds of real panache. Taking place in 1930's Harlem (ah the good old days) and projecting itself as a movie that tries to cram in 2-3 stories in a 2 hr. period, "Club" tells the tale (or tales) of musician Dixie Dwyer, (played by Richard Gere who has amazing screen presence here) his uncontrollable resistance to move up the mob chain, and the resorting-to-murder brother he has to look out for (played with gusto by Nicolas Cage). The film also examines the life of a racially discriminated tap dancer (Gregory Hines) who struts his stuff at where else, The Cotton Club. Projecting itself as a sped up version of Coppola's masterpiece The Godfather (there's a sequence toward the end that pays complete homage to the baptism murder scene in said movie), this torrid vehicle has a fantastic look (very accurate for the time period and not too overdone), brilliant acting by Richard Gere ( Dwyer) and Nicolas Cage ( Dwyer's brother Vincent), and well choreographed, exhilarating tap dance sequences. Coppola, who is in total command of the camera (and his craft) wants to make sure the viewer is worn out by the time the credits roll. He is accurate, doesn't give an inch (he's a perfectionist. All you gotta do is watch the Heart of Darkness documentary), but seems too busy filling the screen with an overload of indelible images. I guess he insists on doing this instead of keeping the viewer focused on exactly what's going on with this talented cast (boy do they give it their all). Try as I might though, I can't fault him. 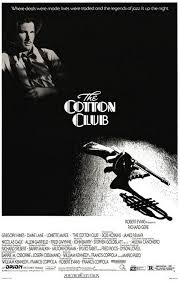 Entertaining and never boring, The Cotton Club excels at making the audience feel unsafe (just like the actual characters in the movie) and it's at least in my mind, a moderate success. This veritable gangster movie is the equivalent of a sugar rush ( in a good way of course). It's one "club" you might want to check out.